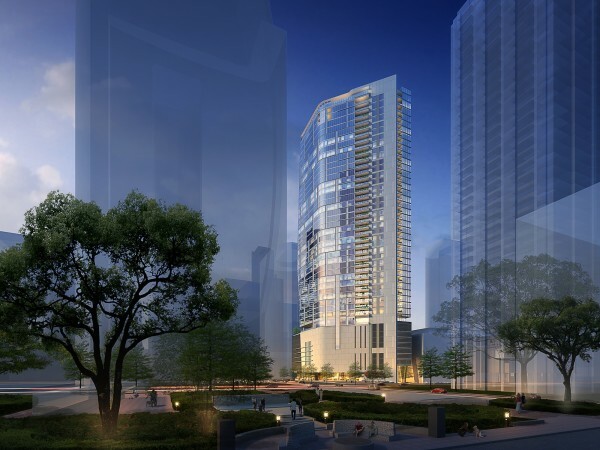 Developers of downtown's new 'restaurant row' hope to make Avenida Houston a destination for arts and culture, too. Houston First Corporation has announced 10 large art and sculpture works by Houston artists will be installed in and around the George R. Brown Convention Center — all before next February's Super Bowl. 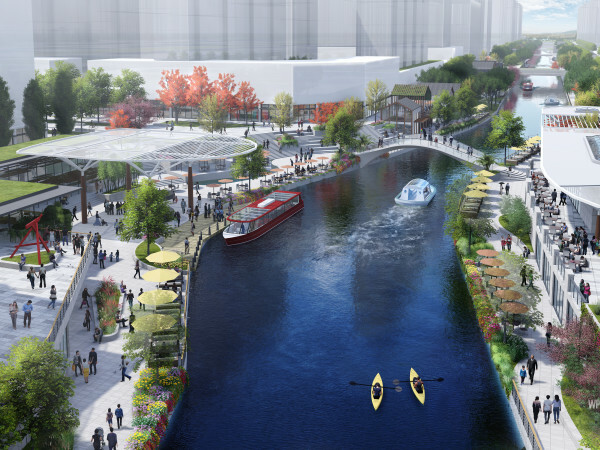 The works, slated to be in place by mid-October, will be along Avendia Houston, the pedestrian plaza that will connect visitors to surrounding attractions, including the convention center, Discovery Green, Minute Maid Ballpark, and Toyota Center. Among the 10 new restaurants planned for the area are Xochi, a Mexican restaurant from Hugo Ortega and Tracy Vaught, a downtown Grotto, Bud's Pitmaster BBQ, McAlister's Deli and Kulture, a new restaurant from Breakfast Klub owner Marcus Davis. While acknowledging that Houston is a petroleum capital and national financial hub, it also has 49,643 total acres of park space, allocating 12.4 acres per 1,000 residents, thereby providing living and migration areas for wildlife and plants. Taking the significance of green spaces into consideration, Woitena selected images based on the "Brown is Green" theme, placing wildlife and plants that inhabit Houston's extensive recreational green spaces into the expansive space of the convention center on what might appear to be a very large-scale old photo album. Labyrinth, an ancient archetype for self-discovery, is the central theme of Adam's proposed installation. Creatia pays homage to the spirit of the City of Houston as a dynamic, multi-cultural, urban metropolis and the anchor for space exploration in the US. Labyrinths of various designs and patterns are layered amongst each other like planets orbiting across the universe. Easily viewed from within the building, the mural imagery will engage the viewer on a visceral and cerebral level. Captured in this piece are multiple images of Houston environments from multiple days, merging together to create a singular gesture. Time-lapse techniques and digital manipulation are used to compose distinct moments that blur together and express the passage of time. 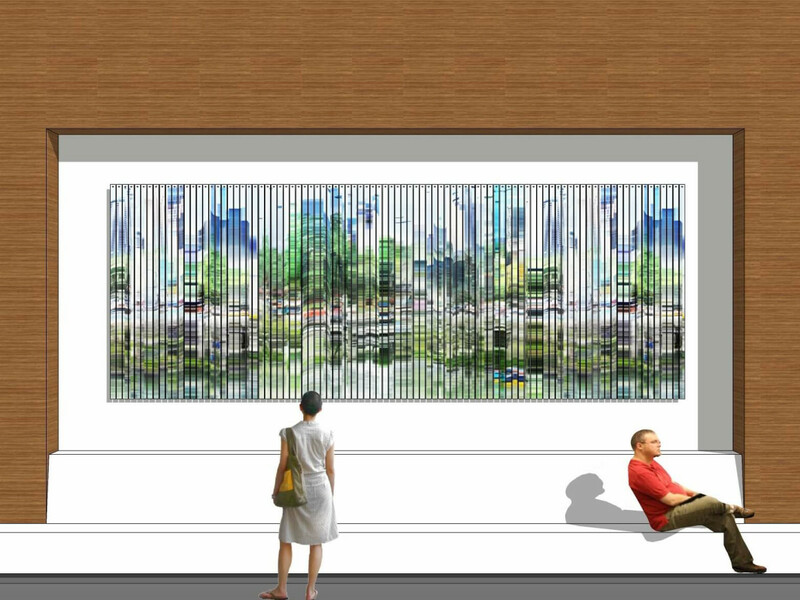 At a distance the overall mural reflects a lively, vibrant impression of Houston's vertical elevations - from bayou images near the bottom, merging upwards into images of city life and nature, and further upwards into the Houston skyline. Upon closer inspection, the viewer will discover many details that give away its specific locations. Flight Plan is inspired by the movement that migratory birds create when flying together in a wave pattern as observed from the ground. Likewise, Houston is a hub where the flight plans of people from different cultures, industries or professional backgrounds intersect. From there patterns of trade, commerce and human migration can be observed. This vantage point has launched Houston as the epicenter of the energy, medical and aerospace industries, and is home to many impossible achievements that span decades of hard work and innovation. Piland's assemblage is inset with Houston area indigenous woods that are shaped, cut and painted to reflect silhouettes of the city's iconic tall buildings and the nearby San Jacinto Monument. About half of the building silhouettes are actual cut-outs of wood planks inset into the canvas surface and attached to the canvas via back wood supports. The other wood shapes are painted trompe l'oeil style in oil onto the canvas. From afar, the viewer will not be able to determine which building is constructed from actual wood or which is painted to look like wood. The Houston skyline is one of the most memorable in the world. 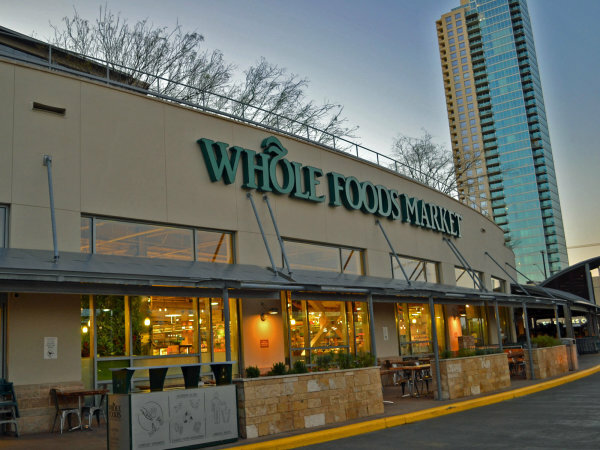 Visitors will recognize Houston's beautiful forest of tall buildings, which are indicative of the city's business success, and its center of ongoing pride and optimism. Lifting Off, Living Houston and Beyond is a tribute to Houston's connection to the national space program. On a deeper level, the piece speaks of Houston's diverse fabric as a city and community. The space shuttle represents the City of Houston. The people who live here are the thrust propelling it to new heights. The bright colors and patterns represent the diversity of the city in terms of the languages we speak, the many ethnicities of the residents and the variety of theater and the arts. There is a city beat that keeps things moving. All of these things are what make Houston a great city, a premiere destination and drives all to shoot for the stars. Metallographic Cosmos works within the themes of space exploration and discovery, as well as the oil and gas industry that characterizes "Space City Houston." Thomas utilized a Scanning Electron Microscope (SEM) provided by Stress Engineering Services to create Metallographic Cosmos. The microscope allows her to zoom in on a particle that may be no larger than the tip of a pen and enlarge it up to 100,000 times its original size. While utilizing the SEM for her job as a metallurgical photographer, she was awe struck by how planetary a few millimeter-sized welding spatter particles looked under the microscope. She instantly thought about how amazing it would be to create a "spacescape" out of the SEM photos. Thomas printed on digital wallpaper, a material that is frequently used in commercial settings and touted for its durability. The artwork consists of three photographs from the project Night Trees. During Gimenez-Zapiola's night walks, he usually carries a camera and photographs different characteristics of the neighborhood and surroundings. Illuminating the trees with a flashlight and isolating them from everything else revealed aspects never before realized. Perhaps the night has that quality; to reveal details of things that during the day are imperceptible. Seeing the trees in a situation of apparent rest, almost inert and beautiful, compelled Gimenez-Zapiola to acknowledge how alive the trees are and how important it is to protect nature. These photographs are dedicated to generating awareness in the community about that importance. Skype Scape is a vibrant art installation conceived to celebrate Houston's urban context, and economic, commercial and cultural diversity. The work promotes the George R. Brown Convention Center and Houston as a green, sustainable and livable city center with a brilliantly diversified future. A three-dimensional, geometric and photographic wall-mounted installation appears to float within a contrasting color-field background. Two sides of the forms are Houston photography emphasizing a distinct, directional color palette on either side. The forms have intermittent inserts that rhythmically dance via the gesture of viewers walking by the installation in either direction. A momentary pause offers a glimpse of geometric patterns. Featured in the city seal since 1840, the train image celebrates Houston's historical role as the largest railroad center and deep-water port combined in the South. Tying Time celebrates this history through the use of railroad ties as the substrate for a mural relief. Viewed from the side, the textural grain of the ties is revealed. The artists utilized digital design techniques to carve an image into railroad ties from a parametrically generated pattern translated from a historical photograph. The work connects past and present, using modern fabrication techniques on traditional, historically utilized materials.